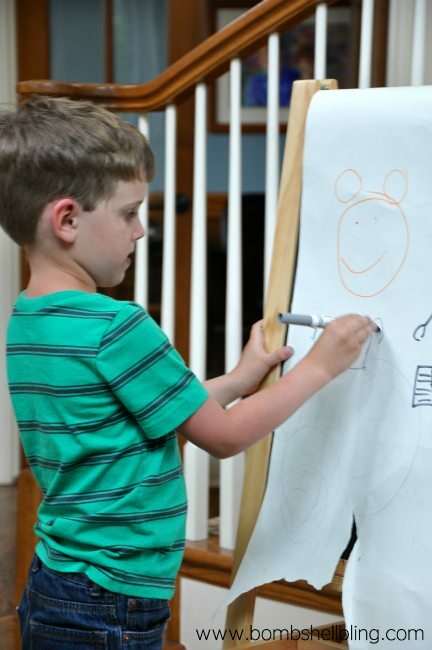 Disney Pictionary is a super fun, simple game that the whole family can play and enjoy! Includes free PDF printables with movie titles and characters. In the past, I have done a Minnie Mouse Week and a Disney Week, so I actually already have quite a few Disney themed posts already, from parties to crafts. For that reason, I thought that this week instead of sharing more crafts for mom to make I would share some kid-friendly activities and ideas. Here is the first one: Disney Pictionary. So proud of his dalmation…..cutie. 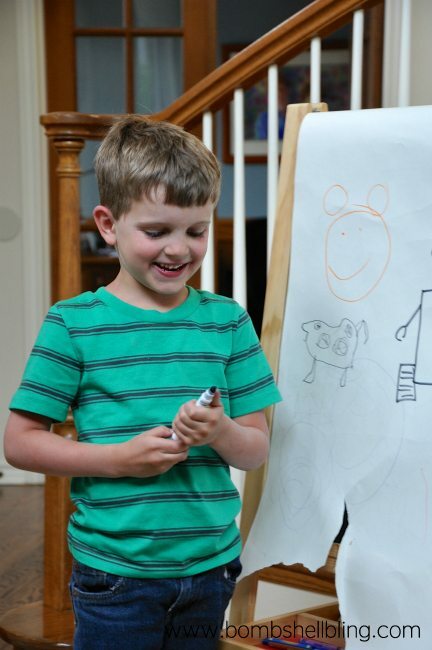 To play Disney Pictionary you don’t need much! 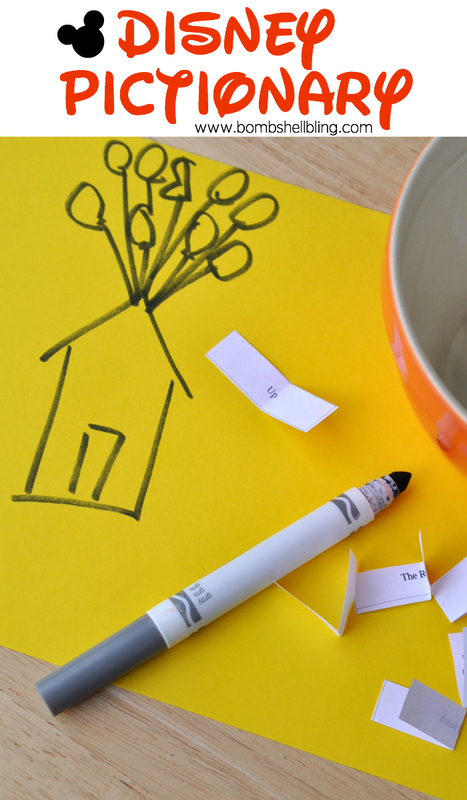 All you need is paper, a writing utensil, and a list of movies or characters. I am sharing the lists that I have made. They each have 45 movies or characters on them. They are not all-inclusive I am sure, especially the characters list, but they are what I came up with. Feel free to add or take out titles or names as you desire. 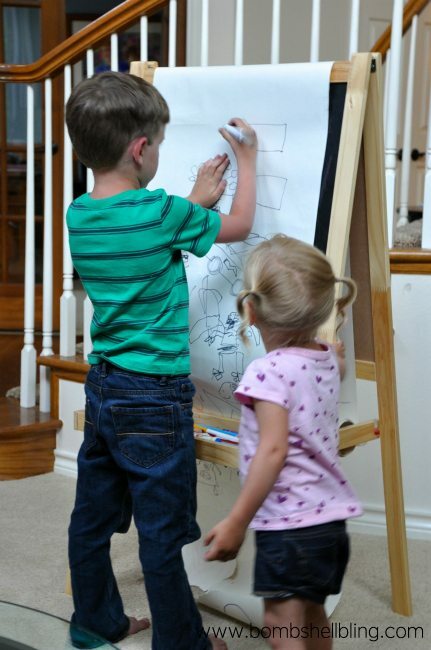 Now just play the way that the classic game of Pictionary is played! Take turns drawing titles or characters and drawing them until your teammates can pick them. If you have enough people you can split into teams and time the drawings, as you would with the board game. Since we were playing with small children we chose to just have everyone guess and no score keeping so it was just a fun family night activity. Be sure to come back tomorrow for more Disney inspired fun! Thanks for sharing such great things. I love that I found your blog! !